I've been blogging for close to 10 years, and while I'm probably not mainstream enough, I've been at it long enough to see weird things happen. I mean have you ever been invited to the launch of a new travel show where the production team kept flashing your own image of a popular waterfalls in Mindanao on their closed circuit monitors around the venue but neglected to even secure your permission or be given credit? I've been to one (see next image of the video grab distorted to fit the wider screen format and the image after it for comparison) and truth to tell, I felt half-mad and half-embarrassed. Not wanting to rain on the event team's parade so to speak, I waited until after the event to email the producer about it. Oh, the producer promised to tell this Fil-Am director to get in touch with me to explain his side but even after the show got airplay via Studio 23 and ran its course (a single season, I think), he never did. That was a year or so ago. Sad because I really loved the show's premise and would've wanted to help out in promoting it. But how can I, after the thievery that went unexplained? Fastforward to the present. 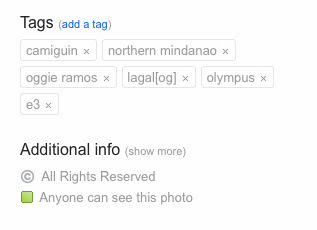 A close friend PM'd me one day, asking me to look into the site of the Camiguin Tourism Association. That set alarm bells ringing. 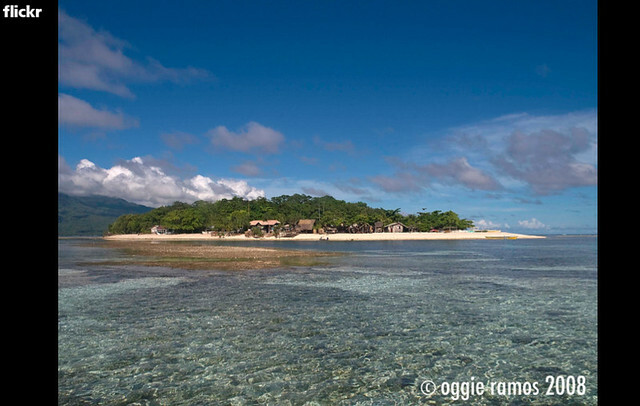 As it turned out, it was called for as I saw my image of Mantigue Island splashed on their site, with my watermark removed. I checked and double checked if I was mistaken. Honestly, I was wishing I was wrong but nope, it's mine alright -- even sans my watermark as the cloud formation and the banca on the shore to the right were unmistakably identical to my image. Not again. 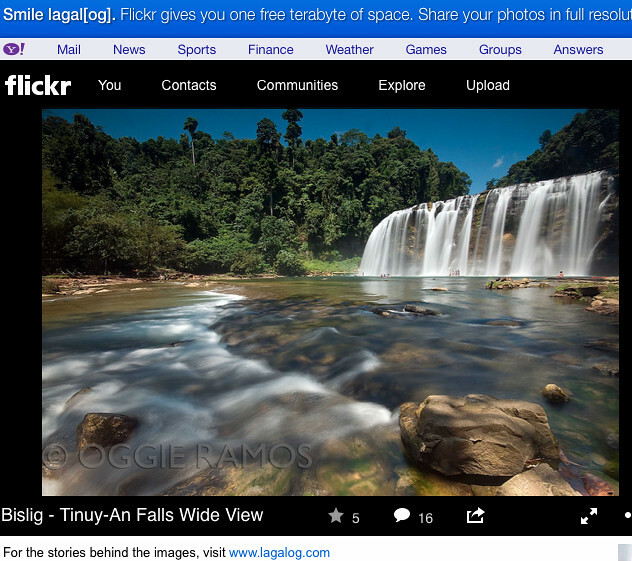 A few years back, a travel magazine brazenly lifted low-resolution images of Cagayan from my website and published it, pixelized and all. For the record, I got into talks with the editors and requested them to pay a small sum of money -- all of which was donated to charity. Anyway, first step to what I hope will be an amicable discussion: a very civilized email. An email to the site bounced (why put an email address on your site when it's not going to be useful anyway) so I put a call to the number listed which turned out to be the mobile number of the president of the association. I was told that the association, while acknowledging the unauthorized use of my image, is not willing to shoulder the responsibility or the expense for what happened. Since the webmaster is a foreign national who is overseas until late this year, can I wait until he comes back? And oh she added in a separate text message, the webmaster is asking if my images are copyright-registered anyway. I'm normally a peace-loving person but seeing that text message made my blood boil. The gall of somebody to steal my image and when caught red-handed, he even had the temerity to ask if I HAVE COPYRIGHTS FOR MY OWN IMAGE/S. Airing this concern sometimes lead to completely-unwarranted opinions -- one of my former bosses even blamed me for putting my pictures on the internet; another smart-aleck told me point-blank " you should be happy your picture got stolen; if it was crap, it would not even merit a second look". Well, the internet is a wonderful venue to share stuff with other people who would not otherwise have the chance to see them. But when I mean share, it's for them to see and appreciate, not to steal. As it stands now, the internet becomes a tool for other people to steal what's not theirs and worse, claim it as their own. In the race for coming up with site content, some people or publishers sadly resort to dirty tactics. In this case, I just didn't expect a formal tourism association to resort to this. 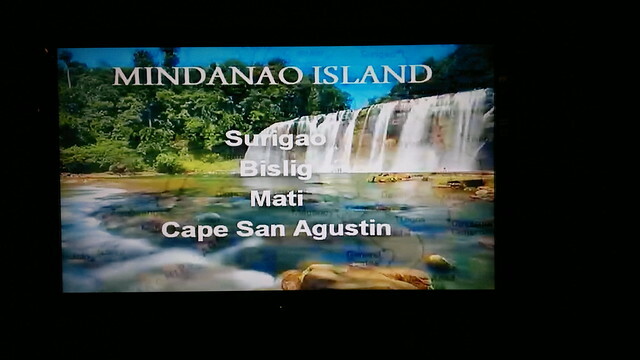 (To think, Camiguin ranks high up among my most favorite places in the Philippines). And to add insult to injury, the webmaster even had the temerity to question my ownership of the image. Huh? Instead of a sincere apology and a gesture to discuss how to remedy the situation, I get this? 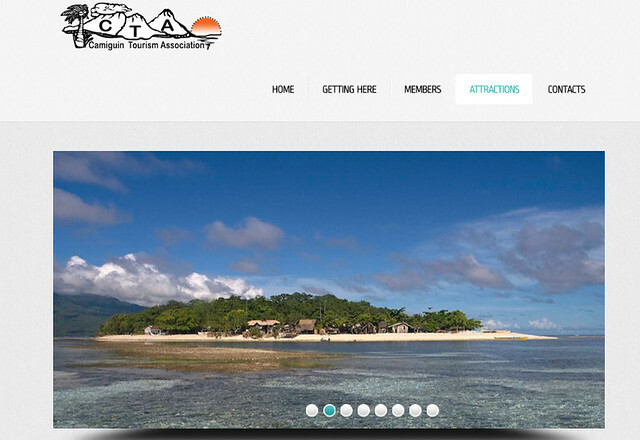 To further deepen the mystery, why did the webmaster give credit to Camiguin Action Geckos Dive and Adventure Resort for their images (see page on "Visiting Hibok-Hibok and Old Volcan") and neglect to give credit to me? "All rights reserved" is a phrase that originated in copyright law as part of the formal requirements for copyright notice. It indicates that the copyright holder reserves, or holds for their own use, all the rights provided by copyright law, such as distribution, performance, and creation of derivative works; that is, they have not waived any such right. Some well-meaning friends and acquaintances who've seen my earlier post in FB advise me to hire a lawyer and sue. I'm a pragmatic person, busy trying to earn my keep. Honestly, if I have the means, I may consider that. But it's some sort of a idealistic move that in real life, does not yield the desired results -- take for instance the high-profile case of a known photographer that dragged for years with nothing to show for it. I'm writing this so it can perhaps serve a higher purpose -- maybe of educating other bloggers/photographers/writers to be more vigilant. Maybe one day, we in the blogging community, inspite of our differences, will be united in helping put a stop to the thievery, and give credit where credit is due.